Last month Against Me! frontman Tom Gabel announced his plan to transition to female, having lived with gender dysphoria for much of his life. 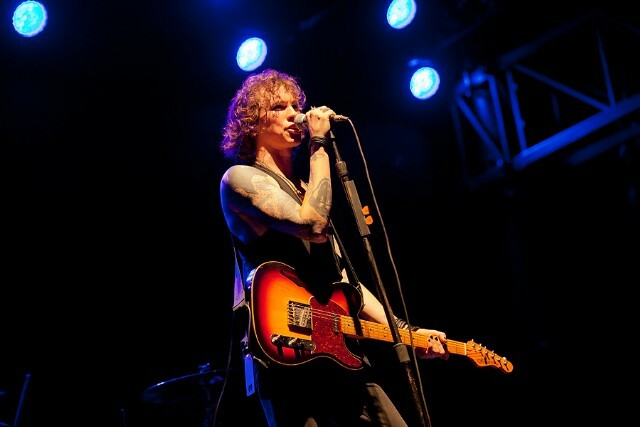 On Friday, the singer made her live debut as Laura Jane Grace at a San Diego show opening for the Cult. According to Rolling Stone, Grace is a few weeks into her hormone replacement therapy, and the band performed a bunch of new songs slated for Against Me!’s next LP, Transgender Dysphoria Blues. Watch fan-shot video of “Don’t Lose Touch” from the concert below.